This is third in the Mason Callahan series, and thus far, I’ve really enjoyed reading about the lives of adults, and I really like her monsters (of the human variety). This book though, I am really struggling on how to rate it. I enjoyed it, I really couldn’t put it down, but it did frustrate the beejesus out of me. The story starts out with a bang, literally. Agent Ava McLane is on vacation and with a friend at the mall when a mass shooting breaks out. The reader is dragged head first into the drama and suspense. And poor Mason is stuck outside waiting to find out if Ava is safe. It was an exciting start to say the least. But then it slowed back down to the more contemplative pace that I have come to expect from Kendra Elliot, which threw me out of the story. It took me a minute to dial back down to it, but once I had, I was back into enjoyment mode. There is quite a bit of headspace time for both Ava and Mason, and the suspense was more cerebral than action oriented. And despite Ava’s vacationer status, she was very much on scene for most of the procedural parts. Following the cops and the FBI as they tracked through the clues was interesting, and I didn’t initially guess the villain, though I knew something was going on. It was pretty tricky, in a good way. And then it all blew to hell in a way I am not entirely sure I was expecting. Family is the damnedest thing isn’t it? And then the denouement went right back to being action packed and explosive. It was a hell of an ending for the monster. But we were left with a remarkably broken Ava. I think that may be what bothered me the most about this book. While Bridged felt like a complete book, this one feels very much like we need another book to have any sort of resolution for Ava and Mason, despite the relatively high note. 3.5 stars and somewhat reluctantly recommending it until the next book comes out. Much like Karen Robards’ Last series, I have been holding off on reading this. Somehow I doubt the series is concluded, but it has been taunting me from my TBR stack for a while and today I got alerted to the new book being released. So I am going to go for it and hope for the best. I am not going to recap these books because that has been done to death by now. So following the blurbs I am just going to be writing my impressions. Former FBI agent Adam Lynch, known as The Puppetmaster, has weapons of his own. He’s a notorious master manipulator, skillfully handling criminals and colleagues alike to get the results he wants. 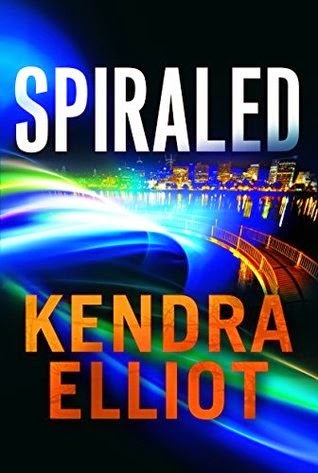 Now he needs Kendra’s special brand of help, but she’s not interested until Lynch reveals that Agent Jeff Stedler—Kendra’s ex—is missing and may have run directly into the path of a serial killer. What began as a heinous murder investigation escalates into something even larger and more frightening: a multi-million dollar conspiracy to hide a secret that’s worth killing for, again and again and again. The set up really intrigued me, I am a fan of suspense and FBI procedurals, and an extrasensory formerly blind person sounded like it would make this a paranormal without the paranormal, if that makes sense. I really enjoyed Kendra, she’s like a slightly warmer Bones (of the TV series not the book), she’s dedicated to her job, she has a best friend, and she has an interesting relationship with her mother. And, she just so happens to be super perceptive and logical. Paranormal without the paranormal indeed! Lynch was a bit harder for me to peg, but I think I may end up liking him just fine. I enjoyed the mystery part of the story while reading it, but a few days later I am mostly blank. This story is all about setting up the characters. This is an extremely short novella, and frankly, it doesn’t add much, I enjoyed it, but it wasn’t worth much. A deadly multi-vehicle pile-up on San Diego’s historic Cabrillo bridge is thought of as a horrific accident–until Kendra Michaels arrives on the scene and perceives it as something much more sinister. Blind for decades and now sighted, Kendra’s unusual skill for observation is highly sought after by both the FBI and CIA. 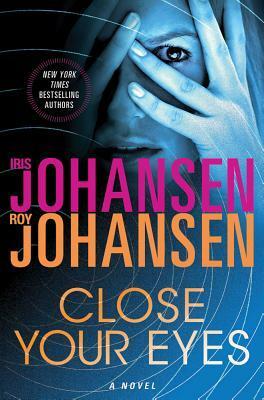 Now her amazing conclusions open up a multi-jurisdictional investigation that once again teams her with the FBI and federal agent Adam Kyle as they investigate a conspiracy so explosive that someone will kill again and again to protect it. As the killer casts a deadly web of lies, Kendra’s life hangs in the balance, as do the lives of those she holds most dear. Now that we have the characters set up in the previous story, I found the premise and execution of this mystery much more entertaining. Lynch seems to be unfolding and he’s a rather intriguing man. But, Kendra feels a little flat and static to me. I don’t know if this was just Lynch’s development book and we will see Kendra develop more as this series progresses, or if this is JUST who Kendra is. This story ended on a doozy of a cliffhanger, both as far as the potential relationship and the villain, so I am thinking we now have a rough outline of this series’ direction, and my earlier comparison to Bones is probably even more spot on than I thought. I liked this book, but I didn’t love it. Overall, there is enough happening in this series that I will keep my eye out for the next in the series, but it isn’t necessarily something I am going to jump on either. I hate to say lackluster, but that is almost what it is. The third book is likely going to be make or break for me in this series.